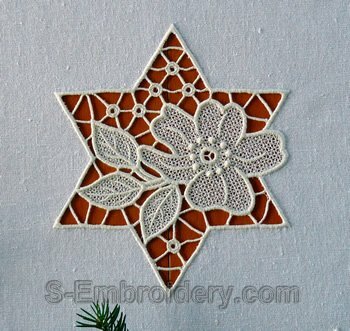 A floral star machine embroidery design in cutwork lace technique for larger hoops. You can use this cutwork lace embroidery to decorate your doilies, table cloth, pillow cases, etc. 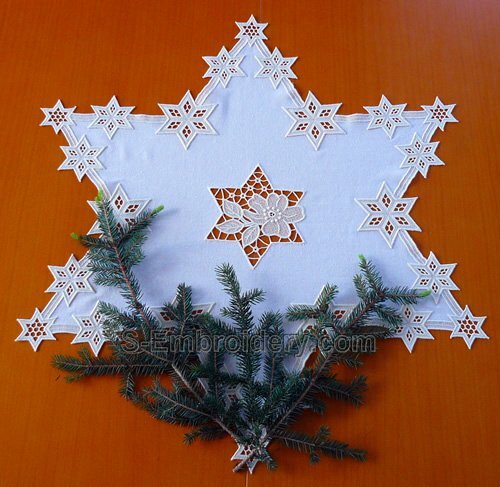 The design we used for creating the doily was SKU 10430 Free standing lace star doily.